Praise the Lord, it’s February 1st! January feels like it’s 100 days long and I always feel so encouraged when February rolls around. We actually had a really good January that was full and slow at the same time. I’m excited for what’s ahead in February and I HOPE that I’m accurate in saying that we move NEXT MONTH! Hoping big for a March move in date, but only time will tell. Here’s a few random thoughts for this Friday! I’m a guest on the Friends of a Feather podcast today! You can click the photo above to listen! 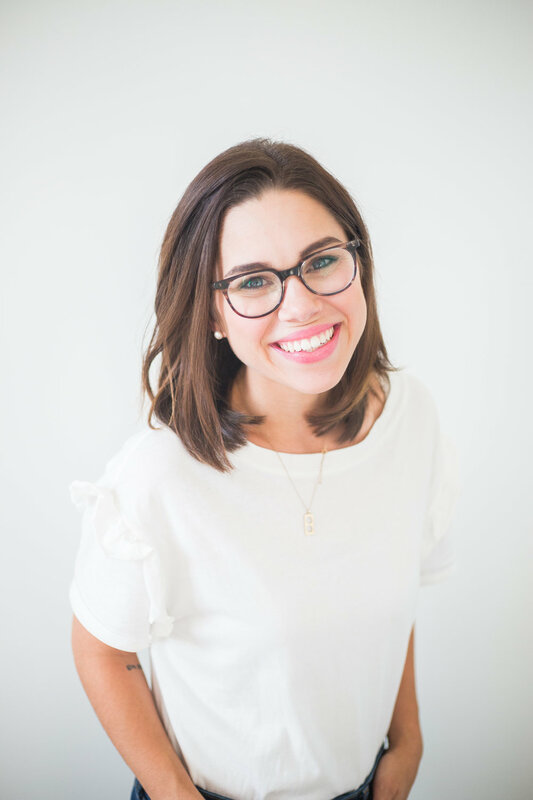 I met sweet Wren at a retreat in December and after chatting for a while about the story of our family and what all the Lord has done, she asked me to be a guest on her podcast! Wren has such a sweet spirit and she made me feel so at ease for something that felt far from my comfort zone. She’s got a podcast full of great episodes (Caroline Saunders is a favorite!) and I’m so honored that she invited me to share! This year I’m doing the 1 second everyday app and I love it even more than I thought I would! The app itself is super user friendly and makes it easy to catch up on uploading videos for past days. It’s going to be such a sweet and simple look back on our day to day lives! On Monday the Holly & Co. shop is opening with brand new products! We’re adding all kinds of home goodies, sweet baby gifts, a couple of new clothing options, and accessories. We are SO EXCITED about what’s to come with Holly & Co. and I can’t wait to see what you think about it all! Last week the kids and I spent several hours (yes, several hours!!!!) browsing around ikea and making a list of some of the little things we’ll need for the new house. They were having a big sale on dressers so we actually picked up 2 small dressers to use as nightstands, a chest of drawers for our room, and a chest for Campbell’s room. We also got a coffee table that was on sale and a cube thing (what are those actually called hahaha) that I’m going to turn into a reading bench for CG’s room. It was all SO affordable and there’s no way I could’ve gotten that much anywhere else! The kids did so great and we even stopped for lunch at the cafe. It’s so sweet having “big” toddlers who can enjoy outings like this! I thought I would wait until we were closer to moving in to put our furniture together, but I was selling a couple of the furniture pieces we had here at my moms so I went ahead and got rid of those and put together what we needed! In the span of 4 days I put together 2 night stands and 2 chest of drawers and stained 3 of those items. Ha! I actually really really enjoy putting together Ikea furniture so it was like little therapy sessions for me! Here’s a photos giving you a little glimpse of what our night stands and chest looks like. I wanted them to look a little weathered to bring in some texture to our mostly white room when we move! Today we’re hanging out with a friend for a little while and this weekend I’ve got a list of things I need to do before our Holly & Co. launch so it’s going to be a full but fun weekend! See y’all here Monday!